honoured with IDF CSR Award 2018 for extended Support to IDF's humanitarian projects. HDFC Sales Pvt. Ltd. ardently believes in Corporate Social Responsibility. We, at HDFC Sales, strive for giving back to the different segments of our society that help us keep our business afloat throughout the year. 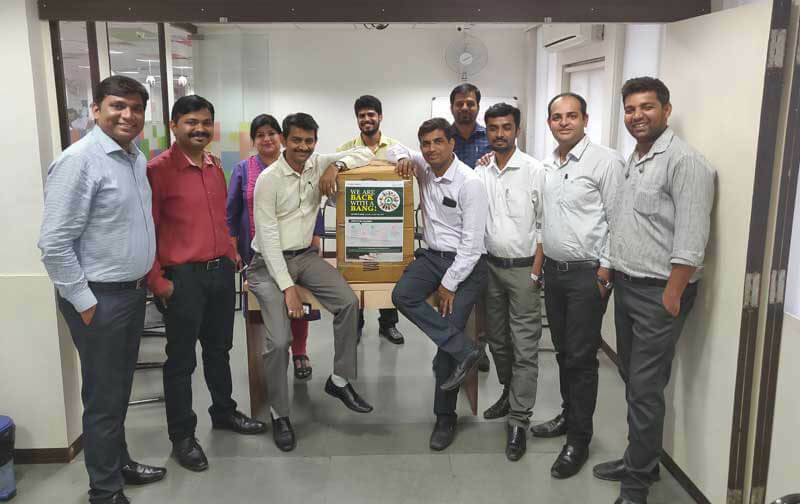 The fabric of our organisation is designed to position each employee as a responsible participant towards solving the most common social problems at large. As such, the employees understand and acknowledge the fact that they are part of a profit-making organisation that operates for a much greater and nobler underlying cause: caring for the society. Hence, we strive to work across a range of social interventions and development initiatives to facilitate deep and long term impact for a developed and inclusive society. HDFC Sales employees visited the Akshaya Patra Kitchen and helped the team in cooking mid-day meals. This was followed by a visit to the Municipal School in Hyderabad, wherein they served meals and distributed stationery kits to the school children. Today Akshaya Patra is the world’s largest (not-for-profit) mid-day meal program serving wholesome food to over 1.6 million children and has state-of-the-art kitchens across 12 states in India. 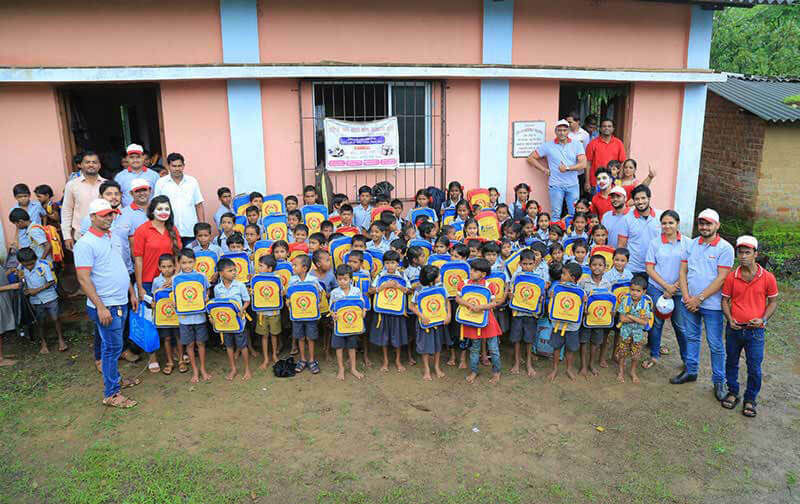 HDFC Sales partnered with Indian Development Foundation (IDF), an NGO committed to Health, Education and Development. They initiated a project called ‘Aashayein – A Ray of Hope’ dedicated to reach out to underprivileged kids who were given books and stationery materials for their education at the start of the academic year. 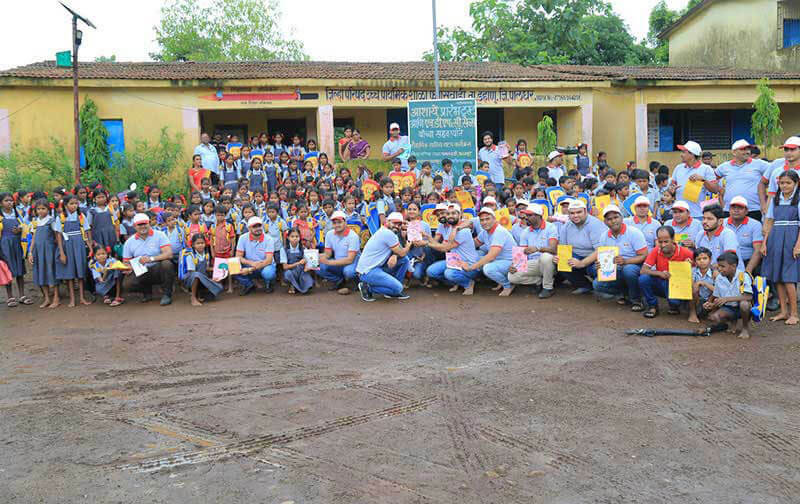 Along with the support of HDFC Ltd, HDFC Sales funded stationery for 2,200 kids of the Zilla Parishad School, Dahanu, Maharashtra. 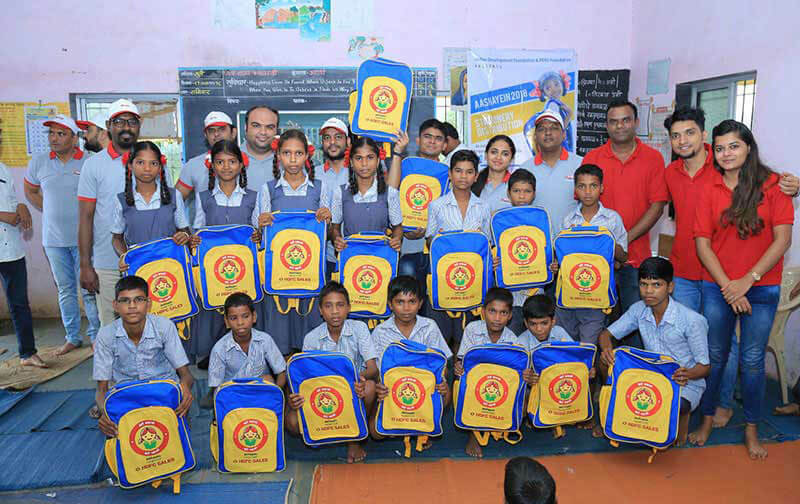 HDFC Sales employees volunteered for the stationery distribution drive as well. Our employees volunteered for the stationery distribution drive as well. 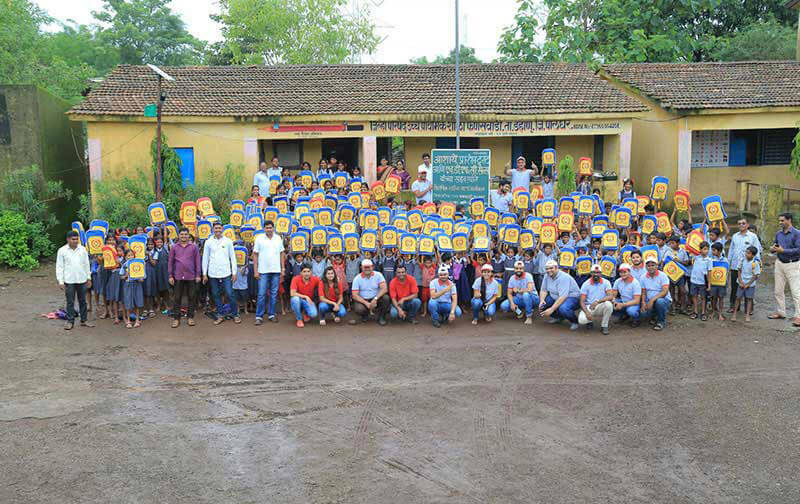 HDFC Sales along with the support from HT Parekh Foundation funded for refurbishing of 4838 shoes which were distributed in Darigbadi district of Orissa. 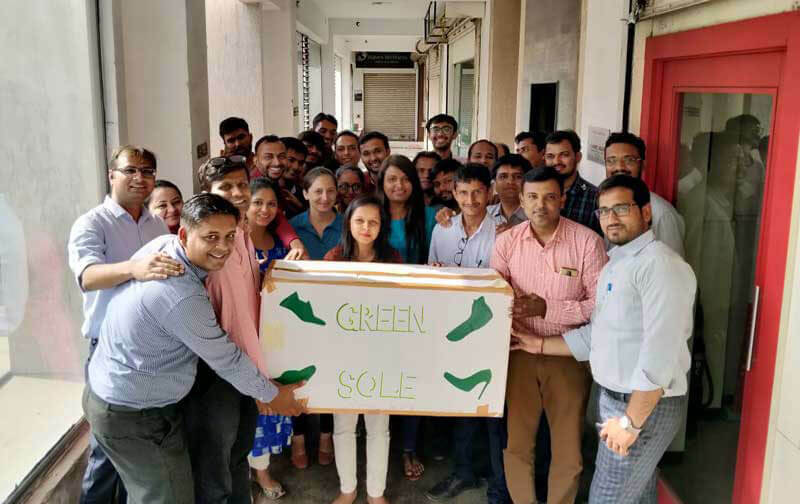 Apart from the monetary support, employees from HDFC Sales and HDFC Ltd voluntarily donated 1200 shoes to Green Sole. Green Sole India is a social venture which refurbishes used old shoes and donates the same to the needy.